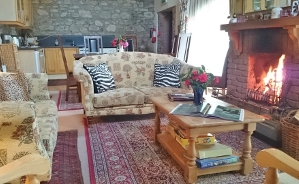 Kilmokea Accommodation in Wexford has become an ‘elegant hide-away’ for people from all over the world wishing to find that perfect spot of tranquility away from the stresses of modern day living. Kilmokea is an 18th Century Georgian Stone Rectory set amid seven acres of heritage gardens nestled on the shores of the River Barrow, nine miles from Waterford City on the Co. Wexford side of the estuary. 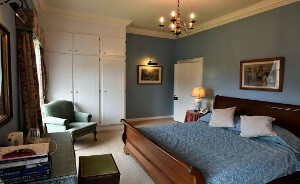 The house, recently restored, has been tastefully decorated in keeping with the Georgian style. 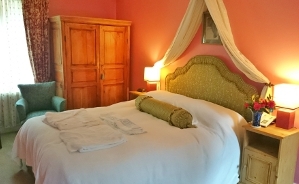 Warm heritage colours flow through the house from room to room offering guests a warm welcome. For the musically inclined there is a baby grand piano; for those wishing for the ultimate in relaxation, aromatherapy treatments are offered to guests in the afternoon. 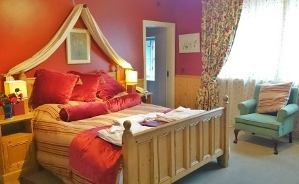 Our seven acres of gardens are a pleasure to while away a few hours before a leisurely swim in our indoor heated pool or a hot sauna or warm Jacuzzi session to complete the day before settling down to enjoy dinner in the formal dining room. Dinner is served at 7.30pm. A Seasonal Organic three course table d’hote menu is served. Kilmokea also caters for parties of up to 50 guests in a private dining room. 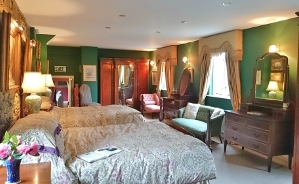 The master bedroom of the house enjoys views over the entire walled garden, down the main lawns and on to the tropical garden beyond. 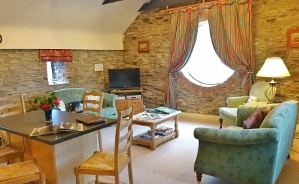 This double room enjoys magnificent views down the main walled garden and the Iris and Rose quarter garden. 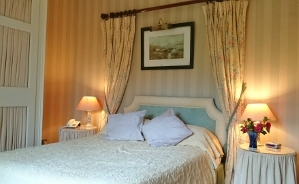 The Lily room is beautiful and bright with a classic French style built-in wardrobe with curtain panelled doors. 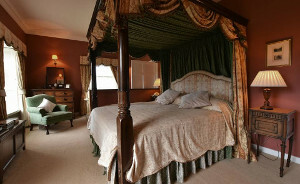 This is the largest superior double room in the main house and has two American four poster king beds.